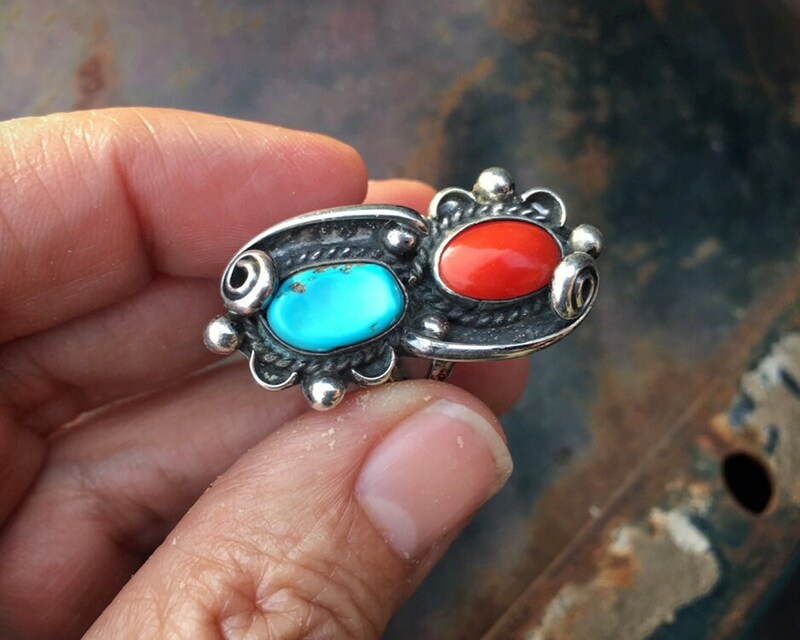 This vintage turquoise and coral ring and earrings is neither too big nor too small yet together have great presence and are perfect for the person who wants something completely Southwestern yet modest in size. 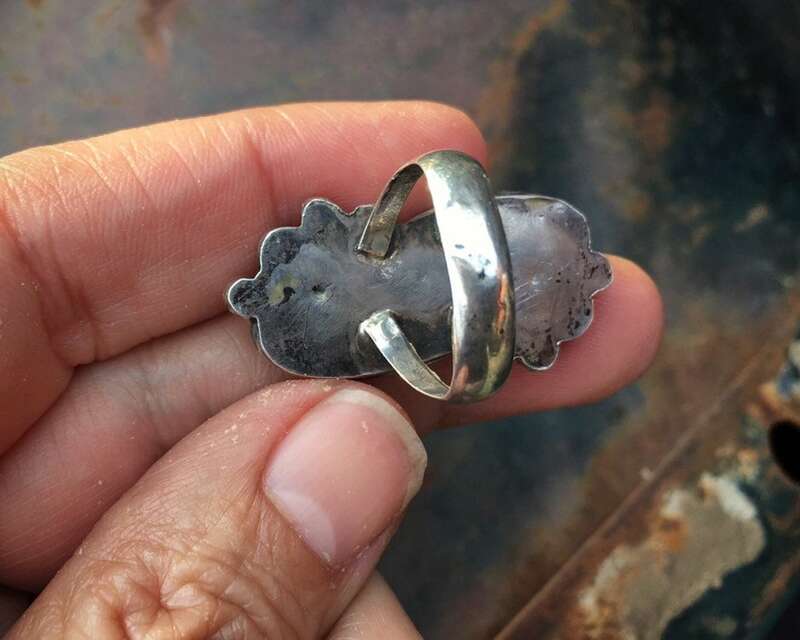 The ring is signed on the interior band, AL, which could be a version of Navajo Augustine Largo's hallmark. 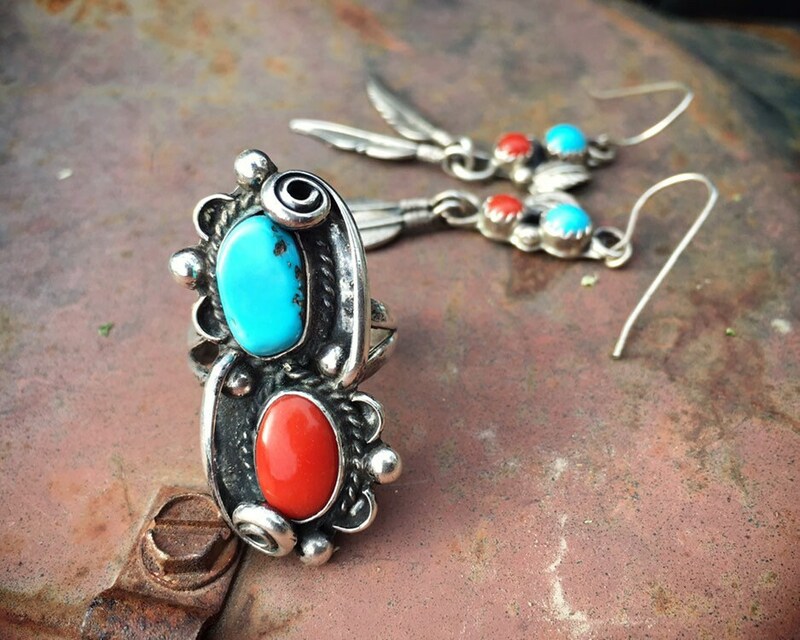 Turquoise and coral are set in smooth bezels atop an oxidized silver foundation with flourishes on opposite sides, resulting in a sort of shadowbox effect. 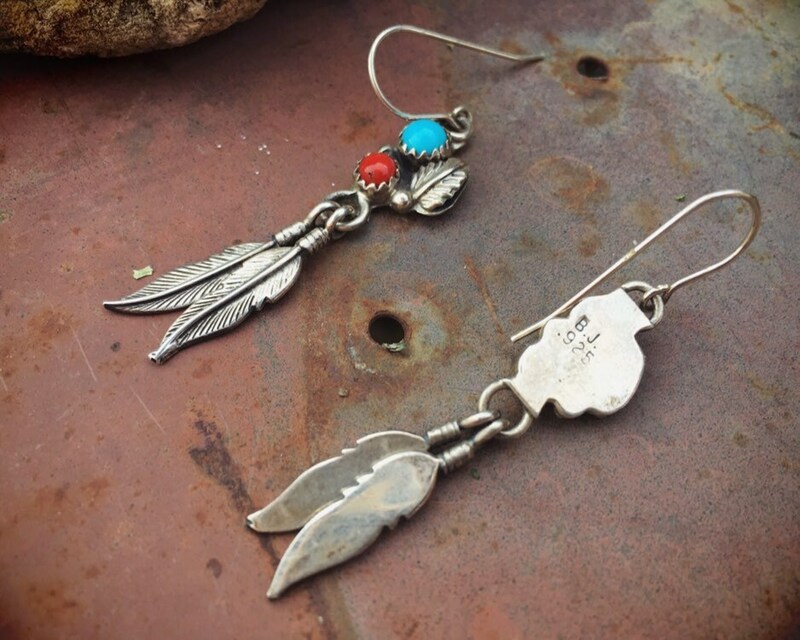 The earrings are not by the same artist, as they have the hallmark BJ for Bobby Johnson. 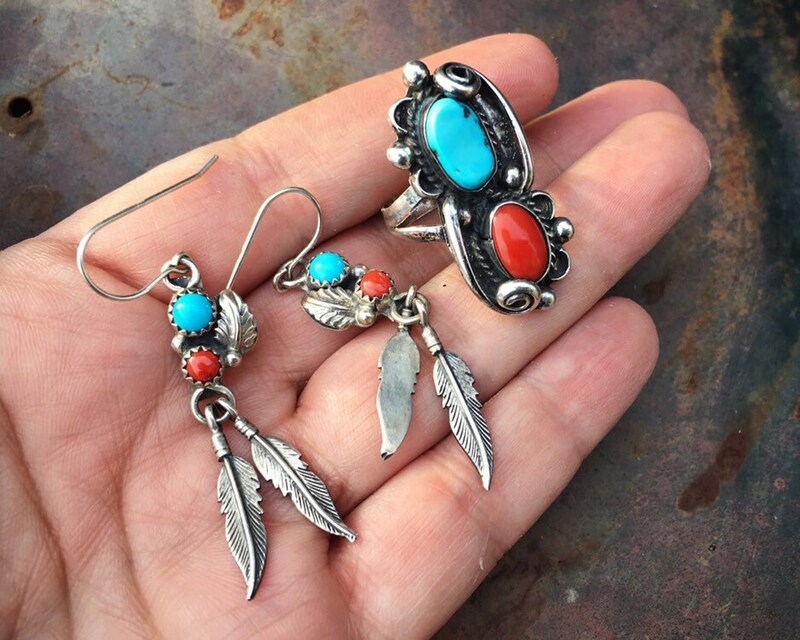 These were used as a jewelry set and sold that way at the estate sale from which they were purchased, and they do make a great set. 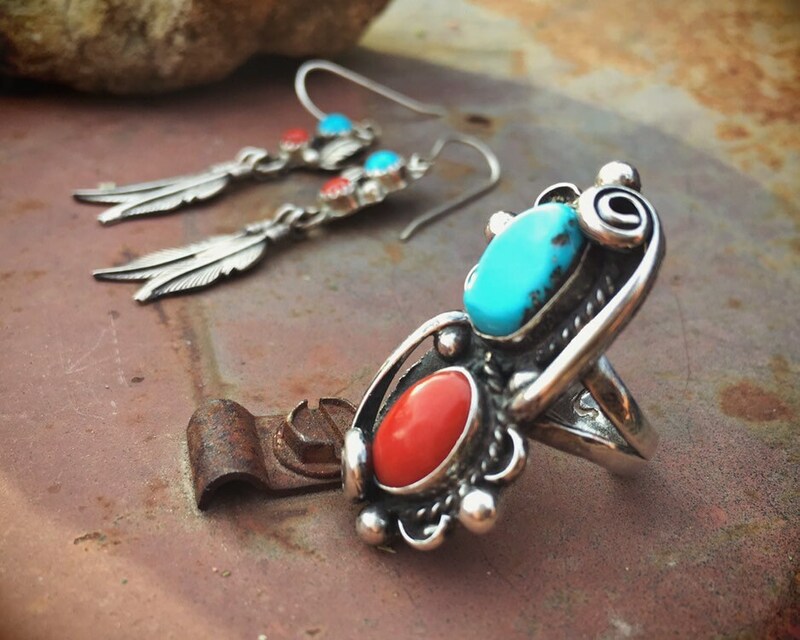 Since it's not so easy to find coral and turquoise jewelry sets, I'm selling them as a set, as they do look so good together. 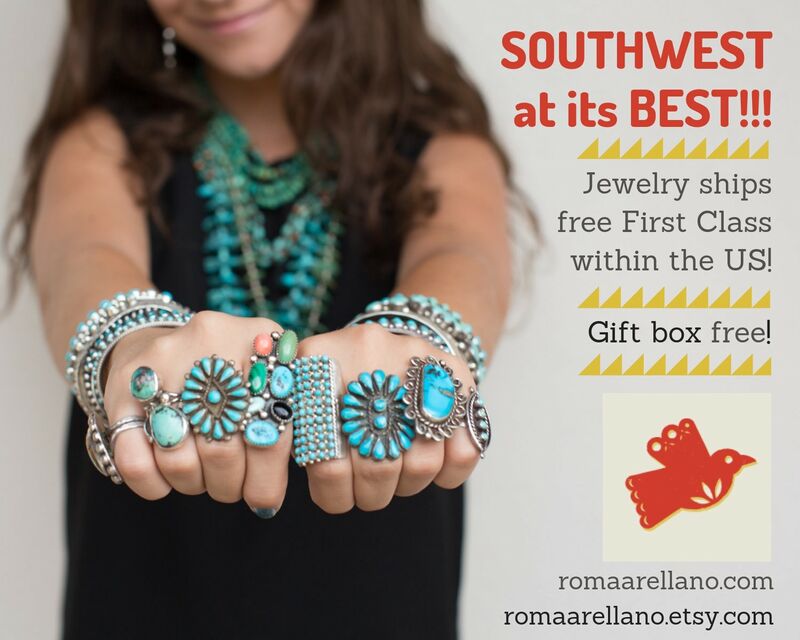 The ring is Size 5.25 and the ring face 1-5/8" long by 5/8" wide, with cabs at about 3/8" long by 1/4" each. 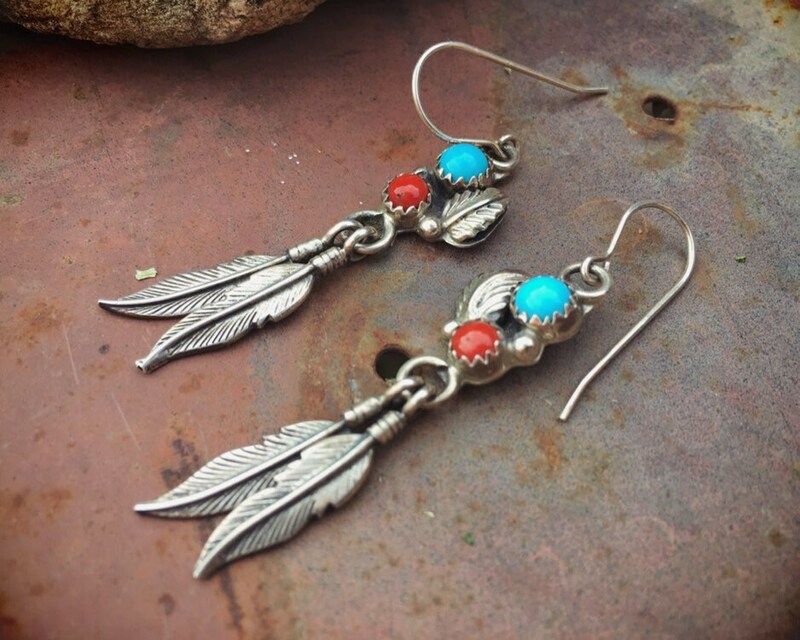 The earrings are 1-5/8" long including the feather dangles, and they hang to almost 2" long. The stamp on the ring does create some rough edges along the band, as the stamp does got right to those edges. Otherwise in good condition.